A lot of people get put off by the winter, especially around this point, after months of slush and snow, cold snaps and grey skies. The winter blues are a real thing, and they can negatively affect your mood, both at work and at home. There’s something uniquely soul-crushing about having to brave the elements day after day, especially when your daily commute is a miserable one. If you have ever relied on public transit, taxis, Ubers, or – god forbid – biking during the winter, you can attest to the fact that it’s pretty awful. Even if you rely on your old clunker to get you to work, it can still be miserable. A sure fire way, therefore, to alleviate some of the winter blues is to make sure you are driving a car that you love. A great luxury car can make all the difference – heated seats, theatre-quality sound system and smooth handling, even over the roughest patches of ice and snow. A luxury car can be a welcome respite from the lousy weather, a moveable living room, in which you can relax and enjoy yourself. In this post, we’ll look at a few ways you can kick the winter blues by driving. We’ll touch on a few tips for winter safety, look at a few cars in our nationwide inventory that are perfect for winter, and discuss how our AUTO|ONE DRIVE luxury car subscription service can help you easily get behind the wheel of one. Safe driving in the winter is partly about picking your battles, knowing when it’s safe to drive and when you should simply leave the car in the garage. You should make a point of leaving yourself extra time in the morning, since, during the worst of the winter weather, traffic can move at a snail’s pace. Rather than racing across the ice to make it to work on time – which is not only dangerous to you, but to other drivers – it’s best to work in a buffer period to your morning routine. When you do decide to drive, take some time to warm up your car. Scrape your windshields thoroughly, and remove all excess snow from the surfaces of the car. There was a video that came out just this past January showing a driver on Toronto’s busy 401 highway attempting to scrape their windshield as they were driving. Needless to say, the driver made the nightly news, for the wrong reasons. Don’t be like that guy! Other than that, it’s important to get your car tuned up and winterized, so that it drives at its optimal performance. Check your oil, your tire pressure and your wipers; restock your wiper fluid, keeping some extra fluid on hand in case you run out; and strongly consider getting winter tires, which reduce skidding and increase traction. As important as safety is – and it is very important – you also want to ride in style. Luckily, the cars in our nationwide inventory are not only pristinely maintained, but they’re also some of the hottest luxury cars out there. In the section following this one, we’ll discuss how you can get your hands on one (or many) of these amazing vehicles, but in this section let’s spotlight some particularly winter-friendly cars. Stop by our luxury car dealership to see one of these cars up close and personal, and to test-drive your next dream car. Come by one of our dealerships to test-drive one of these, and many more, cars. Or simply download the Drive app, click on the car you like, and start driving it right away (more on that in a moment). Your winter commute could be so, so much better! Changing your winter driving routine by getting a new car may seem difficult, but in fact, it’s dead simple. With Drive, our car subscription service, the process of getting behind the wheel of a luxury car takes minutes. You download the app, sign up for the service, with approval in minutes, and then it’s off to the proverbial races: you choose which car suits you best, and then we give you the keys. After each month, you are free to swap cars, renew your car or cancel. Whether you just want a car for the winter months, or are looking for a year-round luxury car, Drive lets you customize your plan to fit your exact needs, cancelling and re-subscribing as you see fit. We’ve been around cars for a long time, and this is certainly one of the most exciting developments we have been a part of. In conclusion, try not to let the winter drag you down – keep moving with one of our astounding luxury cars. Driving a luxury car in the winter is easy, fast, and – with the tips above – safe. 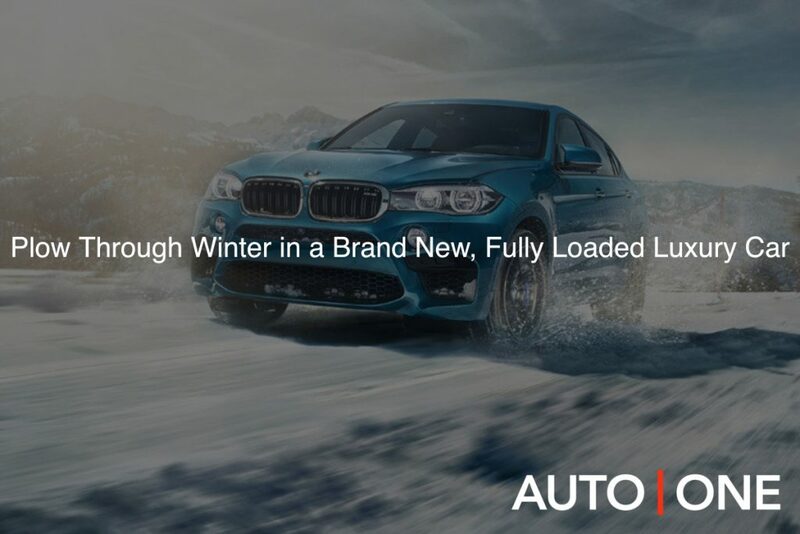 Don’t spend another winter trudging through slush to flag a cab or catch a full bus; come see us at AUTO ONE Group today and plow ahead in a new luxury car.